A San Francisco judge is urging the state Public Utilities Commission to stop “stonewalling” and release e-mails that could reveal a behind-the-scenes role for Gov. Jerry Brown in a multibillion-dollar deal with two utilities that shut down a Southern California nuclear power plant. 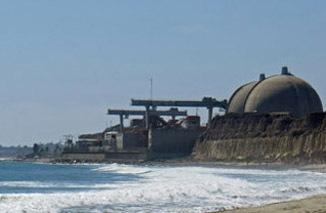 Superior Court Judge Ernest Goldsmith acknowledged that he may not have the legal authority to order the state to turn over the e-mails, which the commission says were communications involving Brown and the president of the regulatory agency’s governing board, Michael Picker, about the closure of the San Onofre nuclear plant in San Diego County. The commission is legally justified in refusing to release the e-mails, its attorneys say. But it’s in the public’s interest for the commission to “do the right thing” and reveal as much documentation as possible about what went into a deal that would cost Southern California utility customers more than $3.3 billion, the judge said. The experience of another major California utility — Pacific Gas and Electric Co. — after the San Bruno disaster shows that “when something is big enough, it’s just got to come out,” Goldsmith said.